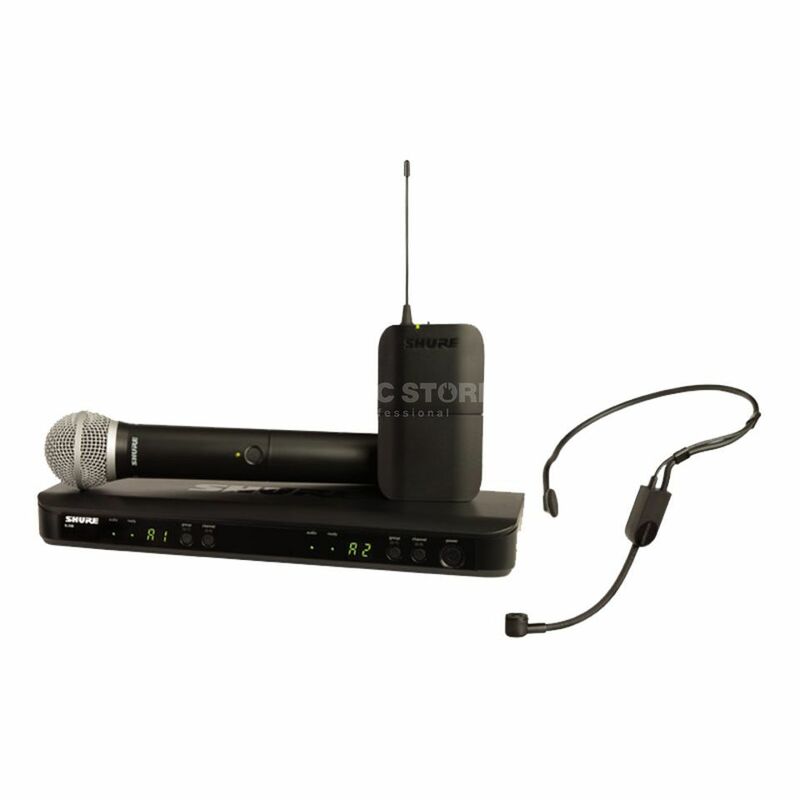 The Shure BLX1288E/P31 T11 Dual Channel Combo Wireless System is a wireless combo system, that consists of a PG58 handheld microphone and PGA31 headset. The BLX1288/PGA31 Dual Channel Combo Wireless System is part of the BLX wireless systems family. Shure BLX Wireless Systems combine professional-quality sound with simple setup and an intuitive interface for legendary audio performance right out of the box. Precision-built and available in a variety of configurations, it’s the most accessible way to own the stage. Please see www.dv247.com for more options. The Combo Wireless System with PG58 and PGA31 combine a simple setup with an intuitive control for a reliable performance. The comfortable headset offers a maximum latitude for performances and presentations. This system consists of a BLX4 wireless receiver, BLX1 bodypack transmitter, PGA31 headset microphone, power supply, clothing clip, windscreens, and user guide.